It is almost impossible to keep up with the multitude of World Foreign Currency Prices. 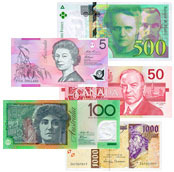 You should be able to find and compare your currency on one of these World Foreign Currency Pages. If not try Google or eBay.